Tango Mining Limited (TSXV:TGV), based in Vancouver, British Columbia has signed an agreement to acquire an 80% unencumbered interest in the Mano River project from West Mining, in Liberia. The property consists of one recently granted 104.3 km2 diamond mineral exploration licence located in the western part of the country in an area well known for the widespread occurrence of alluvial diamonds and the known presence of kimberlites. Announcing the acquisition on Monday, Tango said that it planned to carry out exploration on the property by the end of the first quarter of next year. 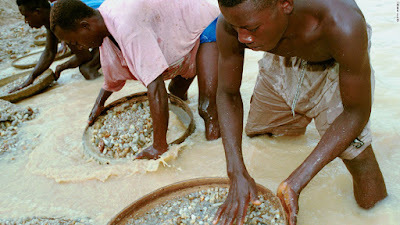 The Mano River project is located about 45 km south-west from Liberia’s largest gold mine, New Liberty, which LSE- and TSX-listed Avesoro operates.